Culinary. Pale green fruits ripening to soft chartreuse yellow, large, blocky and quite weighty. 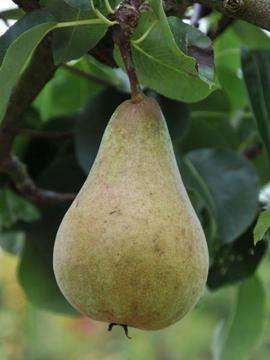 Must be left on the tree as long as possible, will continue to ripen in store and can be used after Christmas, often at it's most flavourful in the Spring. Great for tarts, bottling, stewing and jams. A hardy and durable tree. A Pollination group; Pollinate with Louise Bonne de Jersey, Shinsieki, Jargonelle, Williams, Conference etc.